Efficient suffix sorting is needed in data compression, and substring matching. Practically speaking, suffix sorting can be used to search for text in an ebook, identifying long repeated sequences of DNA in a genome, etc. The most obvious way to suffix sort is to use a n*log(n) comparison algorithm to compare all the suffices of a string. However in the last 20 years, faster linear time suffix sorting algorithms have been developed. 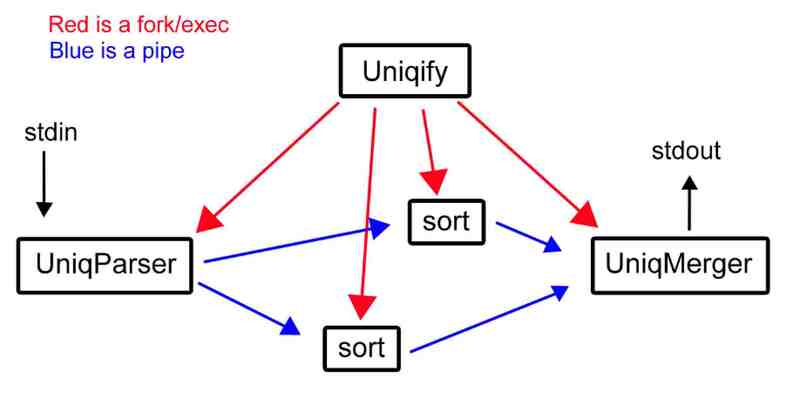 These algorithms beat the n*log(n) barrier by avoiding redundant sorting associated with suffix sorting. For example, from the banana suffix sort above, if you have sorted “ana” and “a”, there is no reason to compare the entire suffices “nana” and “na”. Once you determine that they both start with “n”s you should just use the result of the “ana” and “a” sort. The DC3 algorithm uses this rationale to create an elegant solution for linear time suffix sorting. I’ll explain this algorithm by first exploring the process behind it and then by examining a java implementation I created. This entry was posted in Uncategorized on November 6, 2012 by spencer.